Do i Have to many Airguns...? 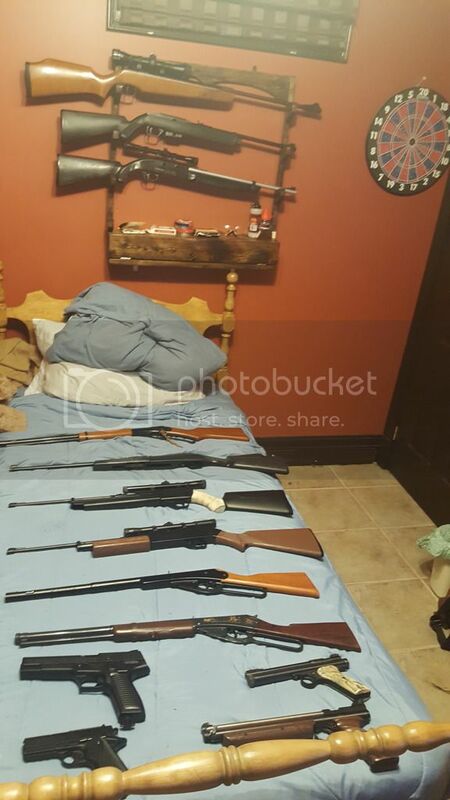 Post subject: Do i Have to many Airguns...? Last edited by Ausername on Mon Sep 25, 2017 6:01 pm, edited 1 time in total. Post subject: Re: Do i Have to many Airguns...? Firefox has an add-on to view photo's blocked by Photobucket. I've installed it and it works. That's a lot of good stuff to list, but I can't view the photos. Hey! Thanks for the tip! I'm on imgur now, but this will solve the issue of being able to see images from past Photobucket posts. I can see this collection growing past 13. Decent collection but imo you need to move up in price point now. waiting till' i get a PAL. so under $200 for now. Its not possible to have too many guns. This is how I copy pictures from photobucket back to my comuter. Make a file in your documents, picture or albums folder. I'd call it air guns or whatever, then slick on the x to shot the folder off. then select the air gun folder you just made in your computer, then click 'save'. That picture is now in your computer. When you want to post that picture here, click- 'reply' at the bottom of the reply screen. Scroll down to see a box with Browse No file selected. When you get your PAL, watch out for the powder burner bug!